Johnnie Mae Thatch was born October 11, 1935 to the late John Harney, Jr., and the late Florida Moore-Harney in Limestone County, Alabama. Johnnie Mae accepted Christ at an early age and joined Mt. Zion Cumberland Presbyterian Church under the leadership of the late Rev. Aaron Toney. She later joined Bright Hope Cumberland Presbyterian Church under the same leadership, where she remained until her failing health. Johnnie Mae is preceded in death by her Parents. Her Husband: Willie Thatch, Jr. Her Daughter: Betsy Thatch-Walton. Her Siblings: Willie Harney, Carrie Harper, Charles Harney, Sr. and Mary F. Miller. She departed this life with her children and grandchildren at her side on Wednesday, April 25, 2018 at Huntsville Health and Rehabilitation Center in Huntsville, Alabama. She leaves to cherish her memories: 2 Sons: Barry (Charlene) Thatch of Tanner, Alabama. Kenneth (Chasity) Thatch of Madison, Alabama. 2 Daughters: Jacqueline (Billy) Ervin of Harvest, Alabama. Janet (G.W.) Sharpley of Huntsville, Alabama. 12 Grandchildren. 24 Great-Grandchildren. 3 Great-Great-Grandchildren. A host of nieces, nephews other relatives and friends. 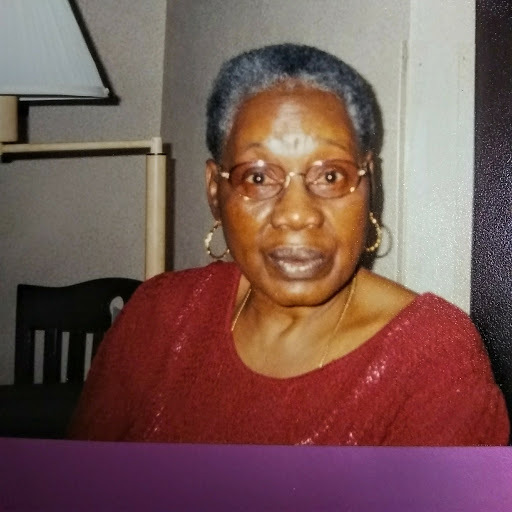 The family of Mrs. Johnnie Mae Thatch acknowledges with sincere appreciation the many expressions of love and sympathy shown during the passing of our loved one. Thanks for every comforting words, thoughts and deed. We are grateful for your visits, calls, cards, food and other acts of love and kindness. may god continue to richly bless you!! Under the directing of Sharpley Funeral Home. Funeral will be held Monday, April 30, 2018 at 12:00pm at Bright Hope Cumberland Presbyterian Church (located at Mooresville Rd. Athens, Al. 35611). Rev. Mary K. Baker, Pastor-Officiating. Burial in Faith Memorial Cemetery in Madison, Alabama. The body will be in church 1 hr., before the services.